My general rule for games and shows is that I have to finish watching them or playing them before I do a review. This is a big reason why I don’t tend to as many game reviews. I’m a completionist on games that have an actual ending. 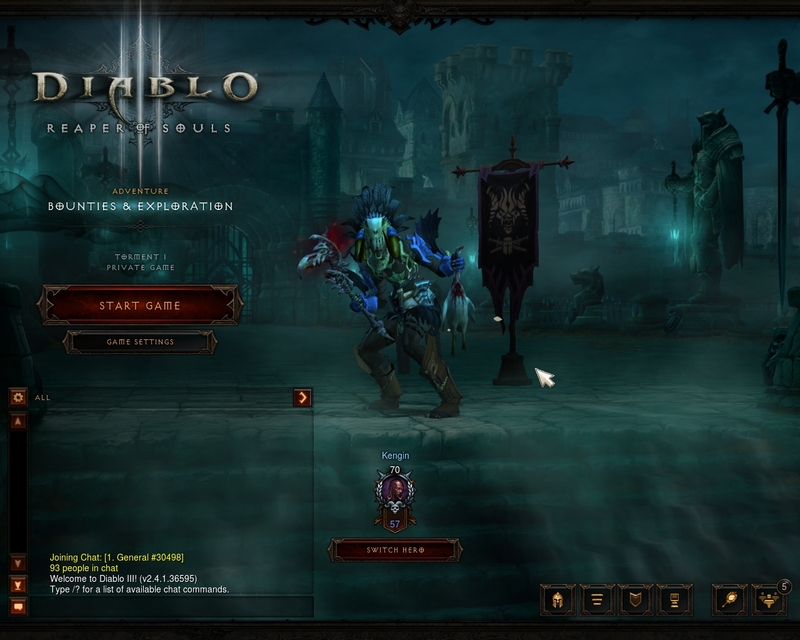 Luckily “Diablo III” does and with it the chance to review the 3 aspects of a game that I will be judging upon. Story, gameplay and the overall experience of the game as a whole. I have been a big fan of the Diablo Franchise since the first game, which was one of the first games I ever beat. I still remember saving the game right before I faced Diablo and returning to my save to kill him multiple times with my warrior who I had got his mana high enough to lay down a bunch of fire walls that destroyed the minions surrounding Diablo and brought down his health. 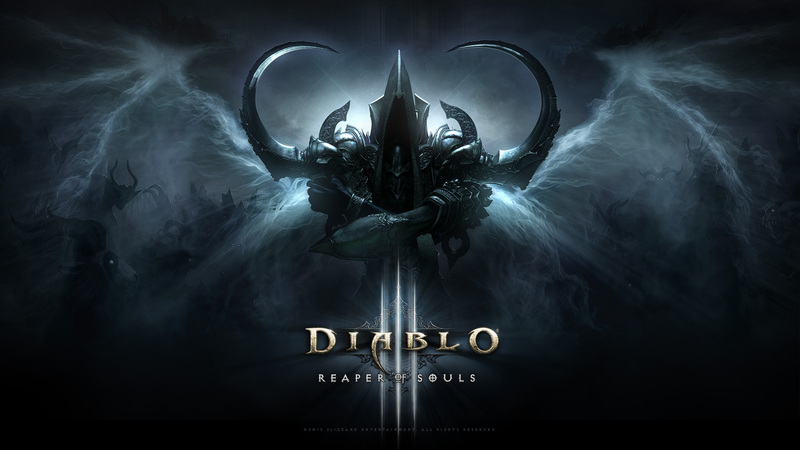 Besides Starcraft and Warcraft II, Diablo was my introduction to the great worlds that Blizzard has created, and I look forward to going back and reviewing more of those classic games as well as the expansion to this game, “Reaper of Souls.” Suffice to say I am a huge fan of these Universes (Though I think Warcraft went downhill after “The Frozen Throne”) and can’t wait to return and review the games. The story of Diablo III takes place after the destruction of the Soulstone at the end of “Diablo II: Lord of Destruction” and the world has gone quite as evil starts to rise again as the mysterious Black Soulstone arrives on the scene and a mysterious figure falls from the sky leading the Hero go and investigate the incident in New Tristam and meeting up with Leah and her Uncle Deckard Cain who have been investigating the surrounding events. 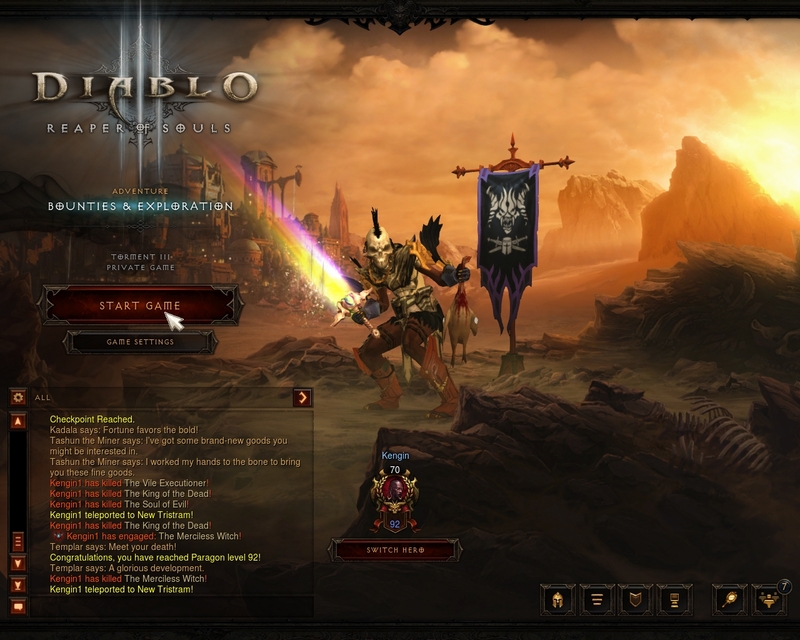 The Gameplay: Pros – Exploration – The exploration aspect is one of the great things about all of the games of the Diablo Franchise. The maps are expansive but not boring since there is always a dungeon to raid or an event to take place in that keeps you on your toes and gives you a chance to try out new tactics or see another part of the world. Rewards – The reward system is fantastic. From getting different flags with symbols, winning achievements and of course gear for your character so you can tackle the next area or a more difficult area. The rewards reward you for challenging yourself and pushing your limits. Combat – I play Witch Doctor as my main and I much prefer his mixture of spell and pet based combat. The Demon Hunter is my secondary in Diablo III pre- “Reaper of Souls” and I found her combat style still fun, but a bit too slow for me. The Witch Doctor rewards quickness and taking on as many enemies as possible which I enjoy. Okay – Most Boss Battles – Most boss battles were easy but the ones that provided a challenge were a lot of fun. The Butcher and King Leoric when I first started took a lot to take down and the Belial fight was fun too even though he couldn’t touch me. Some of the minor bosses in the High Heavens were fun too. Overall the bosses could have been more challenging and been given more area attacks or abilities that would not down half you health automatically. That would have helped with their threat and made the game more fun. Difficulty – The difficulty was normal in my first playthrough which was too easy for me. I beat the game really fast. After I increased it by two I had a bit more of a challenge, Act Bosses weren’t any harder though, only mini-bosses and Elites. That is why I’m putting difficulty at okay. Difficulty should be across the board…Act Bosses should be more difficult than mini-bosses and Elites. The Story: Pros – The World – The world is fantastic and in this we get to explore Sanctuary, Hell and the High Heavens…which is a first since in the past games the only places you could explore were Hell and all over Sanctuary. New Tristam – New Tristam is a great gothic area that I greatly enjoyed as we got see King Leoric return and learn his tragic backstory (he is another pro, I liked the whole drama surrounding his corruption and how his son was the hero from the first Diablo who became Diablo). The zombies and cultists give it an amazing gothic feel and there is so much history. The fact that this is the only Act with Deckard Cain helps too. Caldeum – Caldeum is a lot of fun as you get to help refugees and deal with the Cultist and Belial threat. The world has a lot of history to it and here is where you start to learn about the Nephalem and meet the awesome mad character Zolton Kulle (another amazing character who is pretty much immortal and created the Black Soulstone) and visiting his prison to get him back his body is a lot of fun. Bastion’s Keep – Like in “Lord of Destruction,” this area is one giant siege that you have to fight back before facing the one responsible in their lair. You see the destruction of war in this and a lot of characters you aren’t able to save as demons swoop out of the air to carry warriors away. You feel Azmodan bringing his full force in this one and it makes for a fun act. The High Heavens – The High Heavens is where you learn most angels hate you and it is only when you save some of them that they come around and see you are helping free the world from Diablo. Diablo almost wins in this and it is great seeing what a corrupted Heaven would look like. The Characters – The characters are one of the strongest parts of the Diablo Franchise, especially the villains as often they are given tragic or distinct motivations that make them a lot of fun to face. King Leoric – The King is back and in this we learn he started going mad after a failed war against Westmarch and how is corrupt adviser (Who you fight after Leoric in the first game) is a big reason why he’s losing it. I felt bad for him and as you go to face him you see everything he’s lost as all the dead shells who you fight were once humans and men who served under him before he lost everything to Diablo. Zolton Kulle – This guy is fun and hilarious. He’s sarcastic, he mocks those who trapped him and he keeps his deal up until the end. I wish he was a follower since his witty remarks are a nice break from the genuine feelings from your followers or Leah. Maghda – Maghda has a great design and has butterflies wings from creatures carrying her. She is a threat throughout Act 1 and 2 and a constant presence. She also kills Deckard Cain cementing her as a more relevant bad than a lot of others you face. Her fight was hard too when I raised the difficulty by 2 as she had adds over the entire map and they were changing into stronger figures so it was a race to kill her in time. I wish the Act end bosses had been that challenging. Adria – Adria is Leah’s mother and a witch who hooked up with the Dark Wanderer (Diablo) from the last game. Her story ends abruptly when she turns Leah into Diablo using the Black Soulstone and we never get her full motivation. I liked her journal though as it showed that there was persecution she faced to a degree and her being outside of town showed her to be an outcast. Belial – Belial corrupts New Tristam and Caldeum. My issue with his story is that Maghda is his only real minion outside of those she raises and his reveal of being the child Emperor wasn’t that smart of a plan for the Lord of Lies. Belial’s Act should have been an investigation with more NPC interaction and with the option of Belial outricking you. I think that would have made for a better first fight as he could have defeated you if you didn’t find out who he was in time or if you accused the wrong person. After all of that there could be the minion and true form fight. I still liked design and location and the fact that he had a follower who you faced all through Act 1. It made him more of a threat. Azmodan – Azmodan is the strategist of Hell and manged to overthrow the Prime Evils when he and Belial took over. He does a great job causing destruction but should have shown up in Caldeum. He isn’t even on the stage until after Belial is defeated and since he’s defeated in one act we never get to see his full threat. His design and minions are great though and it is a long Act to finally take him down. 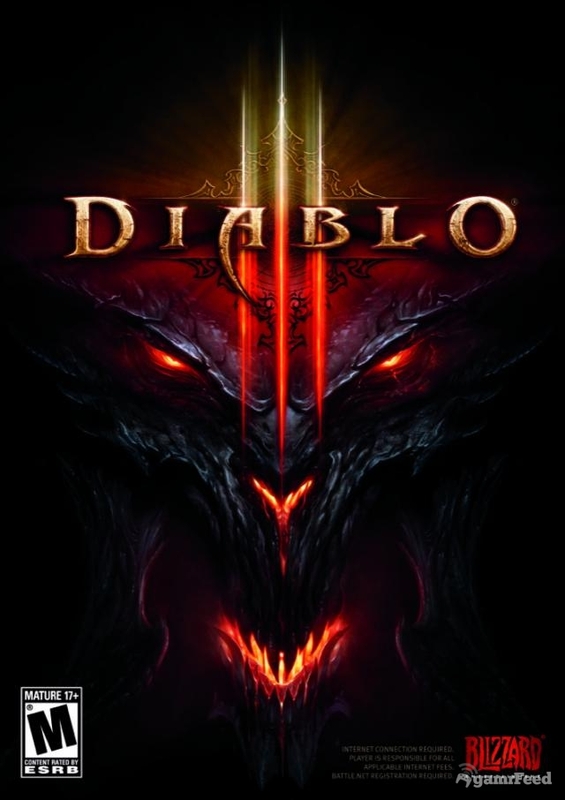 Diablo – Diablo is back as the Prime Evil and holds all 7 Evils within him. It is cool that he becomes this, though I wish it had been shown better in appearance and in the final fight. Diablo is a character with plans within plans and that is why the games are named after him I think. He always finds a way to live, which makes him a good antagonist. Imperius – Imperius is the leader of Heaven and hates humanity and those who defend humanity because of the demon blood that exists in all humans. He doesn’t change either and it is only when Diablo incapacitates him that you are able to save Heaven. I like his stubborness though as Diablo II only had angels helping unless they’d been turned into a demon. Deckard Cain – Cain has a small role in this and helps you fight Leoric before he is killed off by Maghda. It was great seeing him again but I get why he had to die as it pushes Leah to desperation leaving her open for her mother to corrupt and maker her Diablo’s vessel. Tyrael – Tyrael is the Angel of Justice from the last game who destroyed the Worldstone to save Sanctuary. He ends up leaving the Council of Angels when they choose to sit back and his arc is reclaiming his place in Heaven as a defender of humanity as he becomes mortal and the first Act is him figuring out who he is and working to stop the Evils. The Player Character – The player character is fantastic. I loved the Witch Doctor lore and how he is character who calls upon the dead in the unformed lands for his power. He is a smart character with good intentions who is a bit of a paladin in mentality but quick to anger (this applies to all the player characters I think) which sets up them becoming the new Dark Wanderer and vessel of Diablo or a Prime Evil if Blizzard chooses to take that route. Okay – Leah – Leah is an idea, not a bad idea though I hate the “Anti-Christ” meme of her being the child of Diablo so Diablo can possess her. That I found uncreative and Leah doesn’t help. She’s well meaning but beyond caring for her uncle and figuring out her powers she doesn’t feel fully fleshed out, so I’m putting her at okay. Followers – The followers each have unique stories but I felt that they should have had more outside of their quests. I like when they interact with one another but they should have been given more quests outside of the one you get for loyalty. I also would have liked more followers as each of them could have been a much greater exploration of the regions of the world in each Act. Cons – The Villain Taunts – The villain taunts are annoying and especially after killing a lot of minions and mini-bosses rang false. There was no danger of them winning and in the case of Azmodan I was literally attacking him in his home. Belial at least had the excuse of not having home field advantage (Same with Diablo in the High Heavens and he seemed about to win at least). I would have liked to see more lasting damage to the world if they were doing taunts like if every time they taunt the room you are in a no-name npc dies from the voice. That way it would show just how powerful these villains still are. This was a gamer that I kept coming back too and have already beaten twice with my Witch Doctor. There is so much replay value in this game and that was even before I bought “Reaper of Souls” which only increased the overall replay value. Each of the heroes has a different play style and within that play style so much you can accomplish with gear and different builds. The story is also interesting enough that I like seeing villains and characters again. The weakest parts are Leah, Adria and Diablo. Adria’s backstory and her going to Diablo should have been fleshed out this game as well as where Diablo was the whole time and how she was able to bring him out and make him the Prime Evil. Besides these issues though, the story knows exactly what it is and even though I would have preferred the bosses be a lot more difficult in my playthroughs (even as I increased the difficulty, only certain bosses ever gave me much of a challenge as my Witch Doctor). It is still a game for any lover of gothic, blizzard or RPG games. Final Score: 9 / 10. Solidly great and one of my favorite games.